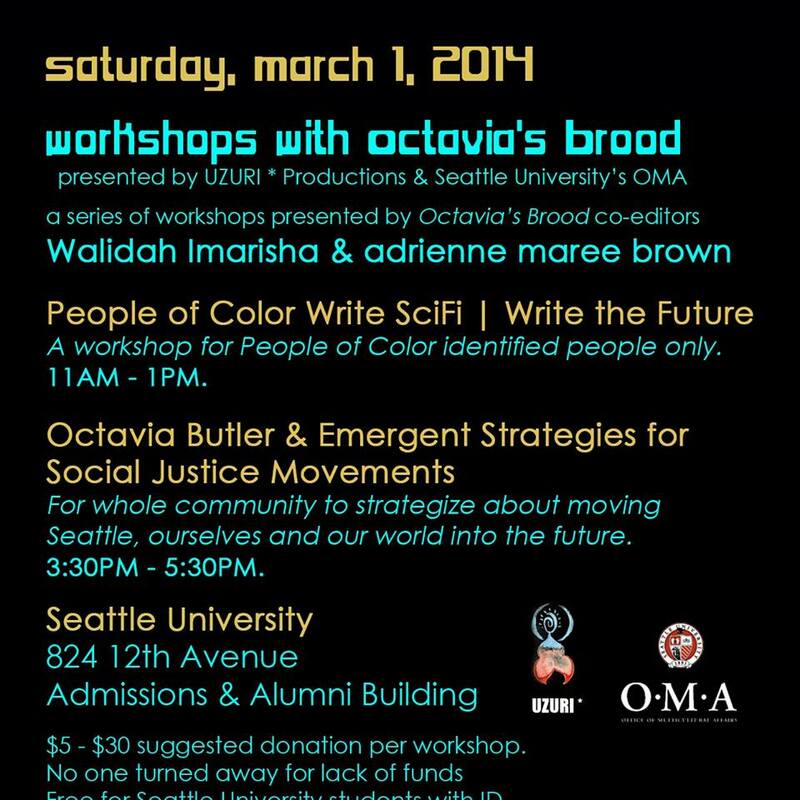 A few months ago, I wrote a piece for Nerds of Color called Growing Octavia’s Brood: The Science Fiction Social Justice Created. 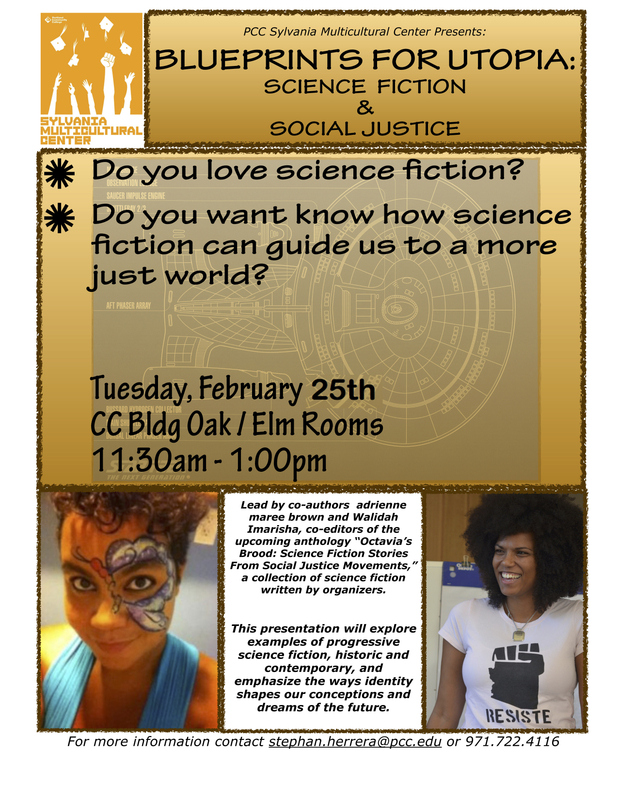 It focused on the genesis of the anthology, Octavia’s Brood: Science Fiction Stories From Social Justice Movements, an upcoming collection of sci fi short stories written by organizers and activists. We are excited to announce we will be doing a Northwest Tour at the end of February! 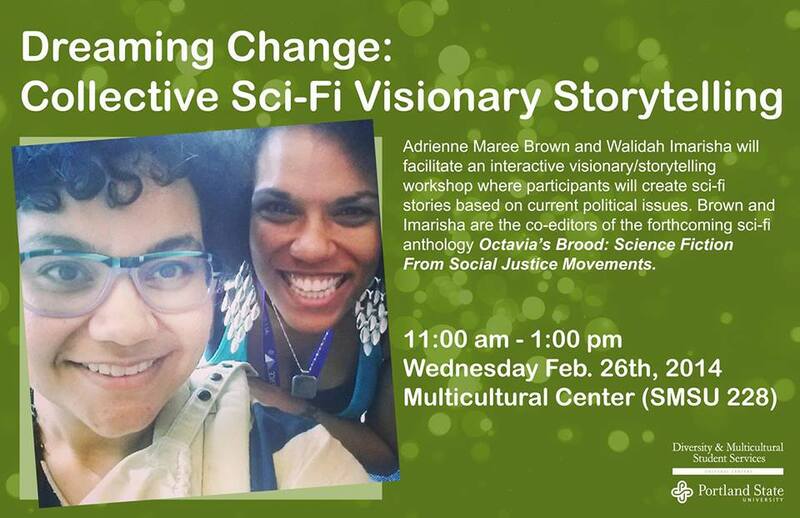 Though Octavia’s Brood won’t be out until the summer, my co-editor adrienne maree brown and I are excited to do a series of readings, writing workshops, organizing workshops, and presentations based on Octavia Butler, science fiction, social change, and the anthology. 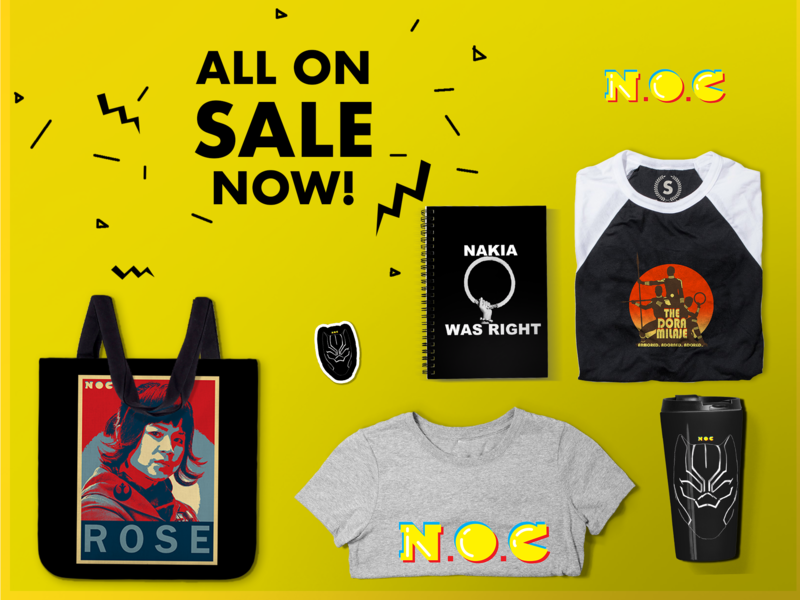 Read on for details about each stop on the tour!